We offer a full range of services for these heads. From O.E. blueprinting to fully ported heads for racing. 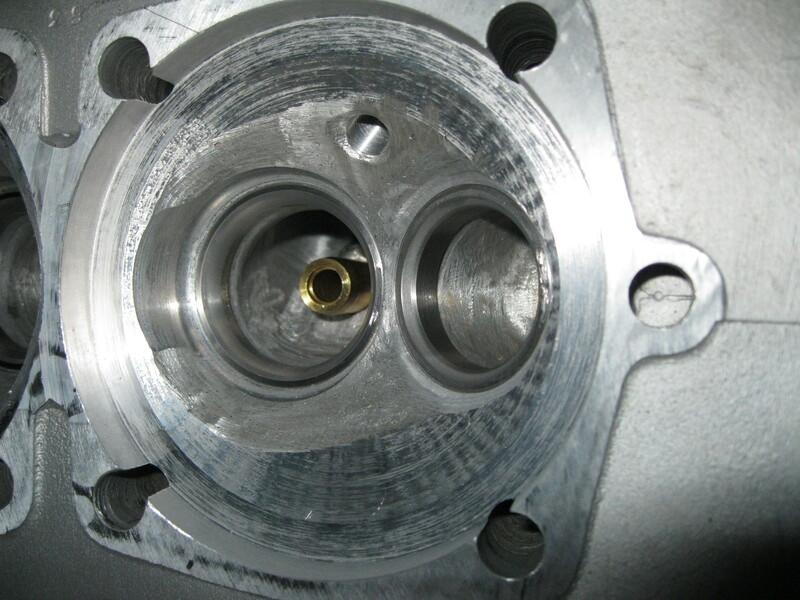 We also offer conversions to 8mm valve stems to greatly reduce valve weight, enhancing valve-train stability. We have developed over the years a variety of casting repair techniques, fixtures and custom tooling as well. If you have any questions about the services we offer please feel free to contact us. 356B Head with 8mm valve stem conversion, 10mm Sparkplug conversion and bored for 90mm LNEngineering Nickies. 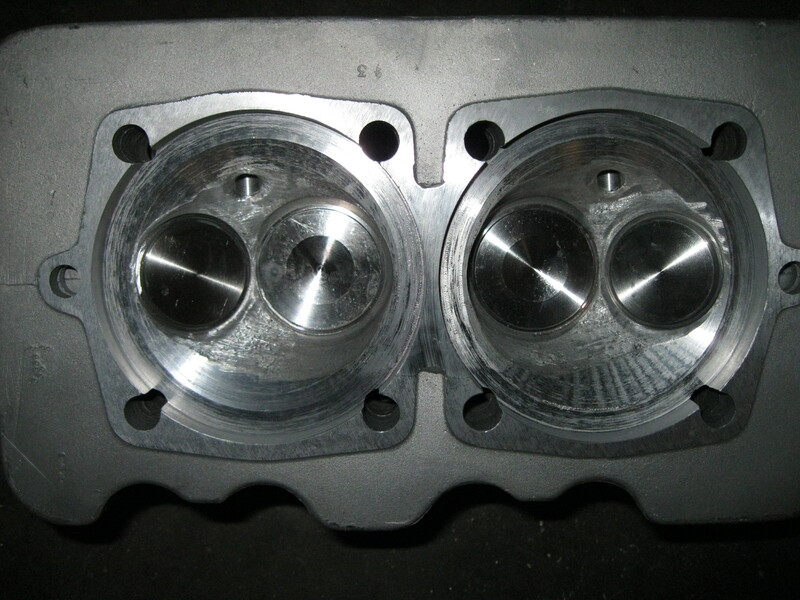 356B head with new valve seats for 40mm x 34mm valves with 8mm stems. Bill Noblitt at speed in his beautiful 356 equipped with HAMInc heads.